Sharing is caring!!! If you like this content, Do not forget to share it with your friends and pin it on your best Pinterest board. We've put together an alphabetical book for you, that will enable you to be organized. No more forgetting what password you choose to log in to the website. ORGANIZED - No more looking through a list or sticky notes all over the place. Keeping all private information safe in one place enabling productivity and allowing you to focus on other important tasks. REMEMBER - Now you can create strong passwords with unique characters. 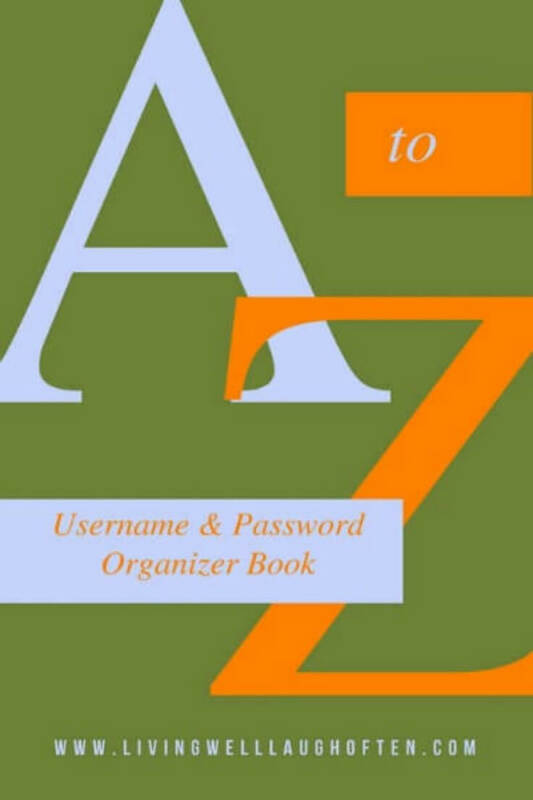 Just access your A to Z organizer book and quickly log in, get your work done, without having to reset your password every time. CONVENIENCE - Small book to take in your backpack or purse. Easy to carry because it is only 15 pages thin and lightweight you would not even notice is there until you need to use the book. We take your privacy extremely serious and your information will be kept confidential. We hate spam!